The end of year financial statements usually focus on financial capital, whereas organisational performance relies on resources – such as the expertise of people, intellectual property that was developed through research and development, and interactions with the environment and the societies in which they operate. In this light, Integrated Reporting (<IR>) was developed to fill such reporting gaps. The IR Framework categorises different stocks of value, including; Financial Capital; Manufactured Capital; Intellectual Capital; Human Capital; Social (and Relationship) Capital; as well as Natural Capital. Consistency and comparability – ensures consistency over time and enabling comparisons with other organisations to the extent material to the organisation’s own ability to create value. Organisational overview and external environment – What does the organisation do and what are the circumstances under which it operates? Governance – How does an organisation’s governance structure support its ability to create value in the short, medium and long term? Business model – What is the organisation’s business model? Risks and opportunities – What are the specific risk and opportunities that affect the organisation’s ability to create value over the short, medium and long term, and how is the organisation dealing with them? Strategy and resource allocation – Where does the organisation want to go and how does it intend to get there? Performance – To what extent has the organisation achieved its strategic objectives for the period and what are its outcomes in terms of effects on the capitals? Outlook – What challenges and uncertainties is the organisation likely to encounter in pursuing its strategy, and what are the potential implications for its business model and future performance? Basis of preparation and presentation – How does the organization determine what matters to include in the integrated report and how are such matters quantified or evaluated? The ‘Guiding Principles’ underpin the preparation of an integrated report, whilst, the ‘Content Elements’ are the key categories of information that should be included in an integrated report according to the IR Framework. There are no bench marking for the above matters and the report is primarily aimed at the private sector; but IR could be adapted to the public sector and to not-for-profit organisations. The IIRC has set out a principle-based framework rather than specifying a detailed disclosure and measurement standard. This way each company sets out its own report rather than adopting a checklist approach. Hence, the report acts as a platform which explains what creates value to the business and how management protects this value. This gives the report more business impetus rather than mandating compliance-led approaches. For the time being, the integrated reporting is not going to replace other forms of reporting but the vision is that large undertakings, including corporations, state-owned entities and government agencies, among others, may be expected to pull together relevant information already produced to explain the key drivers of their non-financial performance. Relevant information will only be included in the report where it is material to the stakeholder’s assessment of the business. 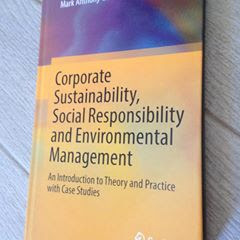 The term ‘materiality’ suggests that there are legal connotations that may be related to environmental, social and governance (ESG) reporting, Yet, some entities out of their own volition are already including ESG information in their integrated report. In sum, the integrated reports aim to provide an insight into the company’s resources, relationships (that are also known as the capitals) and on how the company interacts with its external environment to create value.